The Easy 3 is a compact manually operated hinge drilling machine, easy to carry, easy to use and built to last. 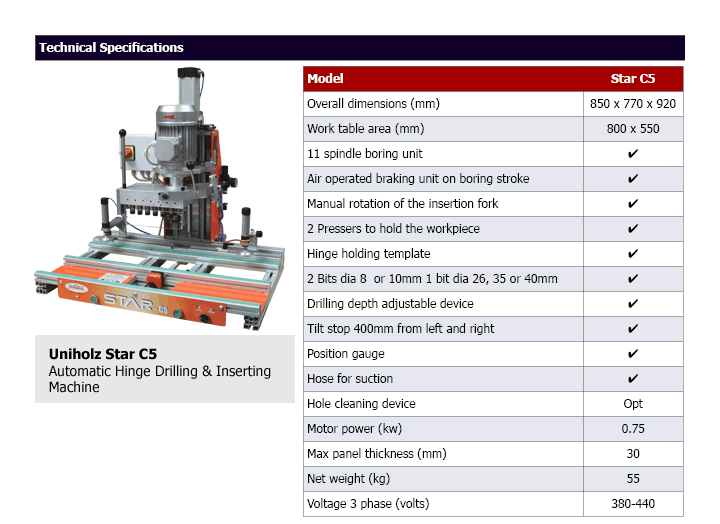 Suitable for construction site and workshops. An automatic machine supplied with air-operated braking system to allow precise boring and insertion of the hinge. 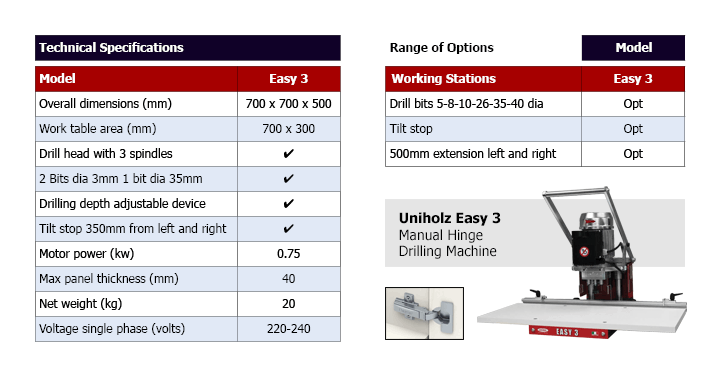 Boring units can be replaced quickly so in no time the machine is fit for boring and inserting another kind of hinge with a different distance between centres.